Mr Marseille is polite, elegant, and erudite. He would do anything for his genteel true love Anabelle. And he is a psychopath. A quiet Philadelphia suburb. A woman cycles past a train depot with her young daughter. And there she finds a murdered girl posed on a newly painted bench. Strangled. Beside her is a formal invite to a tea dance in a week's time. Seven days later, two more young victims are discovered in a disused house, posed on painted swings. At the scene is an identical invite. This time, though, there is something extra waiting for Detectives Kevin Byrne and Jessica Balzano. A delicate porcelain doll. It's a message. And a threat. 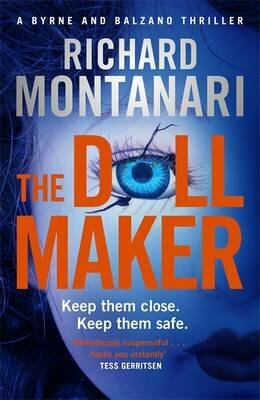 With Marseille and Anabelle stalking the city, Detectives Byrne and Balzano have just seven days to find the link between the murders before another innocent child is snatched from its streets.